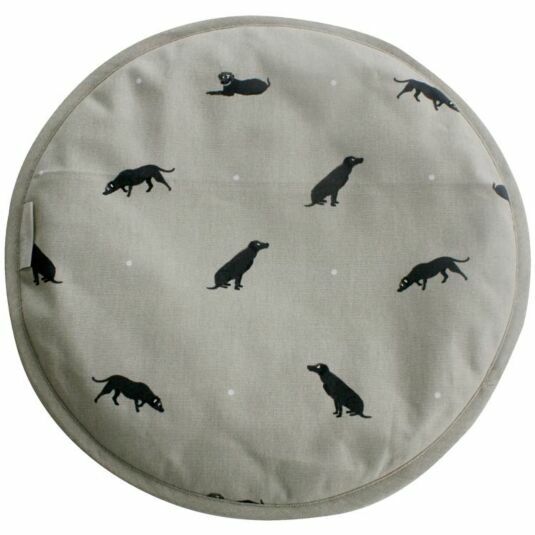 Part of Sophie Allport’s Labador & Dogs collection of fine bone china and kitchen textiles, this hob cover is decorated with beautiful illustrations of black labradors and white spots. 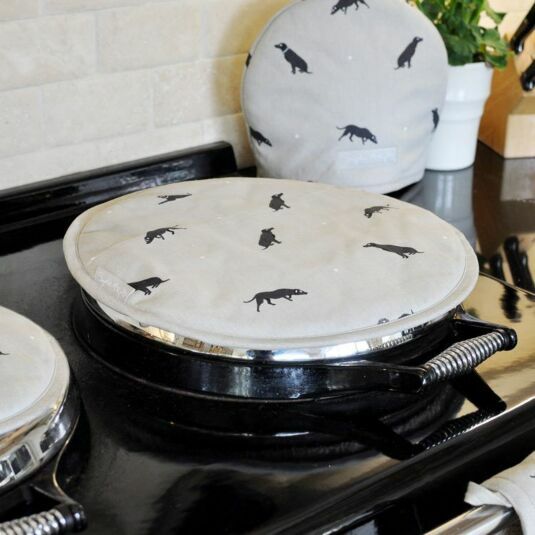 These hob covers can be used to protect your AGA hobs, but they are also good for using as pot stands, and to cover your saucepans to retain heat. 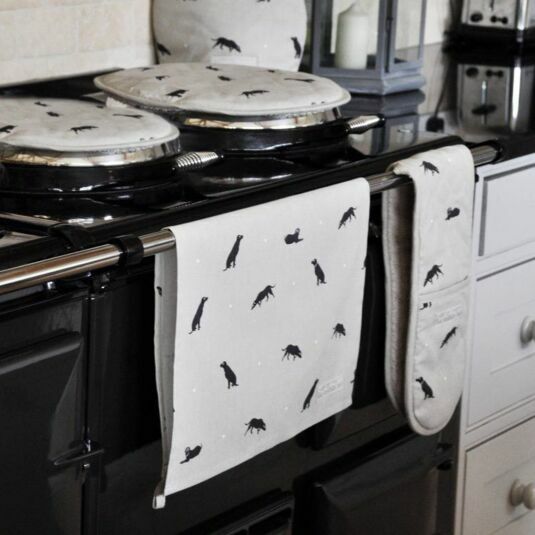 Classy, elegant, it will make a gorgeous addition to any kitchen, great for keeping your prized AGA clean and scratch-free. The delightful Labrador & Dogs range from Sophie Allport includes a collection of stylish kitchen textiles, oilcloth and fine bone china. Largely featured on biscuit cotton fabric the product range features Sophie's illustrations of Labradors and other dog breeds. This delightful range is sure to be loved by any fan of man’s best friend.